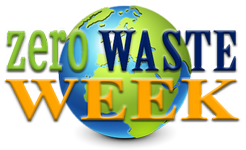 Here are some of the press highlights for Zero Waste Week 2018. Journalist Stuart Heritage was challenged to live a week without plastic. I was assigned to be his ‘guru’ (his words, not mine!) for all those challenging questions. He described me as “brilliantly unmilitant about waste reduction” in his article in which he shared how he got on. Resource has built a strong reputation in the waste and recycling industry and is a trusted news source for the UK’s waste professionals. I was invited to contribute to a short feature on what to do with difficult-to-recycle items. Here is my response to padded envelopes. Beyond the Box is a campaign established by producers of corrugated cardboard to help inform the debate around packaging. I was invited to contribute to a white paper about packaging and the role that corrugated cardboard can play in helping the UK to find a more sustainable future. Read the white paper. Mic is the leading digital news company in the US, reporting on the most important issues and diverse perspectives that challenge conventional thinking. Following the opening of a package-free store in Canada, I was asked for my opinion on the impact of package-free stores on the planet. Read the article. This brand new podcast, hosted by Mary Robinson and Maeve Higgins, celebrates the work of women on the frontline of global climate change from all over the world. I was interviewed about the impact Zero Waste Week is having across the globe and was featured in their third podcast. Following the successful launch of the Mothers of Invention podcast, the i newspaper did a two page spread about the podcast. Out of all the ‘mothers’ interviewed for the series, I was one of the seven mentioned within the article which appeared both online and in print. The Sun newspaper has a daily circulation of 1.4 million and is the UK’s biggest selling paper. Mrs Crunch has a regular column helping readers save money. She shared my tips for buying loose fruit and veg along with refilling your own water bottle in 30th August edition – prior to Zero Waste Week. Later in the week, one of the facebook Group members was interviewed for a piece describing how she saved £1000 towards a new home thanks to her zero waste lifestyle. #EthicalHour is a global online community empowering people to live and work more ethically everyday. EthicalHour is founded by Sian Conway, the UK’s Green & Eco Influencer of the Year 2018. As well as running a successful Tweet Chat, which we ran together during Zero Waste Week, I appeared on her podcast. This year’s Zero Waste Week launched with an exciting announcement – as it was recognised by the Prime Minister for a Points of Light Award! The Metro has over 2 million unique browsers every day. A columnist for the Metro wrote an interesting piece to mark the launch of Zero Waste Week, in which she declared it was the responsibility of businesses to minimise polluting waste, not the consumer. The Huffington Post invited readers to consider more than just recycling and reducing for Zero Waste Week. They suggested repairing and changing buying habits with their 5 ways to get involved with Zero Waste Week. Resource has built a strong reputation in the waste and recycling industry and is a trusted news source for many of the UK’s waste professionals. They did excellent coverage of Zero Waste Week after hearing the announcement that the campaign was supported by Prime Minister, Theresa May. With a circulation of quarter of a million, he i owned and published by Johnston Press, which also publishes the Yorkshire Post and The Scotsman. The i wrote ‘how to cut down household rubbish during Zero Waste Week‘. As well as asking for my top tips, they interviewed Douglas McMaster – the zero waste chef from Silo Restaurant in Brighton. The Witney Gazette shared that Blenheim Palace are supporting Zero Waste Week with estate-wide cardboard recycling and staff training to encourage sustainable behaviour across the estate. They have achieved 99 per cent of waste successfully diverted from landfill. edie.net has been the market-leading information resource driving sustainability in business for nearly 20 years To mark Zero Waste Week they rounded up some of the ground-breaking innovations being explored by companies across the globe to help solve the waste crisis. The Daily Mail run a successful campaign called ‘Turn the Tide on plastic”. They wrote a piece suggesting that ‘bags for life’ were causing more plastic waste than ever before and asked for my opinion. Here’s what I had to say.